Atkins are now seeking to expand their team of fluvial geomorphologists and catchment scientists. They have several openings available. If you are looking to deliver interesting and ground breaking significant projects, influence environmental outcomes at the project level and beyond, and work within a strong culture of wellbeing, innovation and inclusivity, this is the place for you. 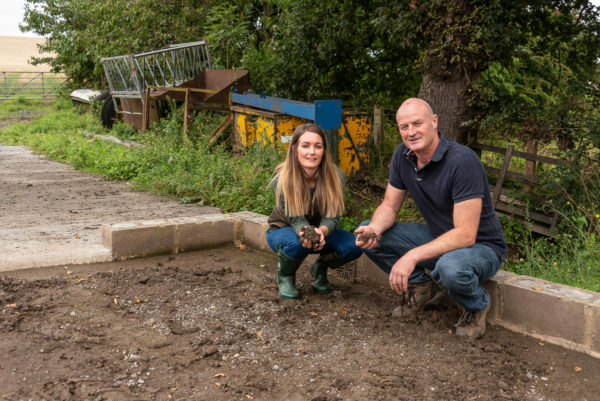 A farmer is using sediment that would have ended up in the river to enrich his soil as part of a project to improve water quality in the Ouseburn. CaBA are delighted to announce that a new Catchment Based Approach website has launched this week, to better connect people in collaborative and cross-sector management of the water environment. The Asia Riverprize winner was announced at the 21st International Riversymposium gala dinner. The Pasig River (Philippines) outcompeted the Yangtze River to win the inaugural Asia Riverprize. The Whangawehi Stream (New Zealand) won this year's Bert and Vera Thiess Australasia Riverprize. Under a community-led catchment management plan, the Whangawehi Catchment Management Group has been helping farmers manage pests and revegetate the river margins, resulting in the establishment of 160,000 native trees, 60ha of riparian margins and the retirement of a 10ha of native bush block. Preventing pollution whilst working in rivers is a serious challenge for all contractors who work in and around water. Working on the bed or banks of a river whether installing bank protection, de-shoaling or creating a river crossing can result in high levels of suspended solids being passed downstream. Programme of 'river remedies' led to increased wellbeing among vulnerable adults and teenagers. Nature-based sustainable prescribing could result in savings for the NHS and improved water quality for all, a new study has found. The project was delivered by environmental consultancy Eunomia Research & Consulting Ltd, with support from South Gloucestershire Council and Bristol Avon Rivers Trust, and funded by the Environment Agency. Simple changes to the landscape and rivers can slow raindrops down as soon as they fall from the sky and start to travel across the land. That can make floods less severe and give people more time to prepare before they hit. Read more about How can we work with nature to reduce flood risk?